Crafting projects make our connections to movies and characters so much more fulfilling. 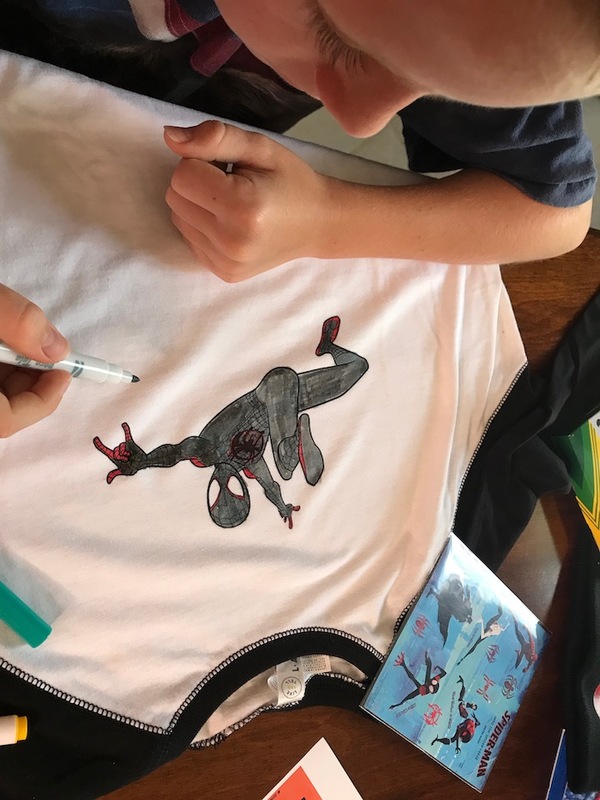 Download your Spiderverser FREE Printable Craft celebrating Marvel. 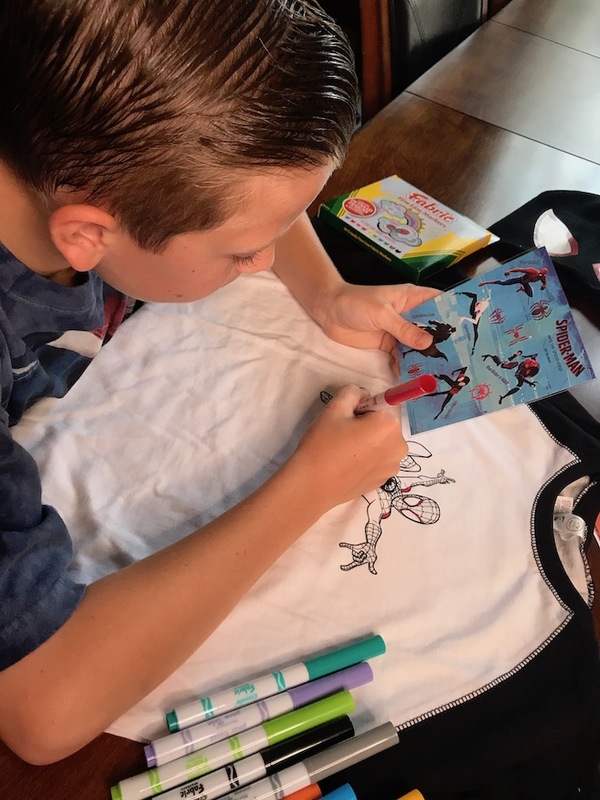 If you are looking for some amazing crafts and free printable pages for Spider-Man: Into the Spider-Verser, you are not alone! Collecting all things Marvel is what brings us, Marvel fans, together. It makes our association with the Marvel characters and movies so much more fun. 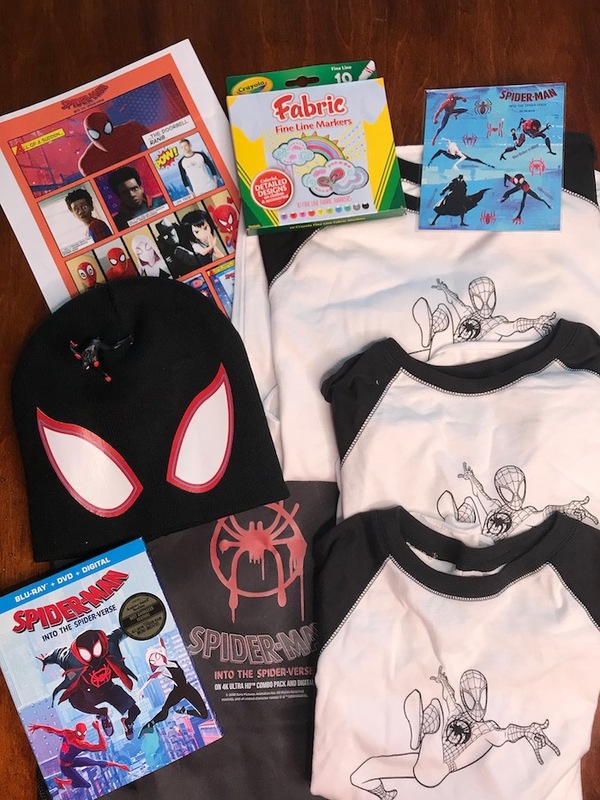 If you are crazy about Marvel’s Spider-Man, like my kids are, then you will celebrate any memorabilia from the movie. 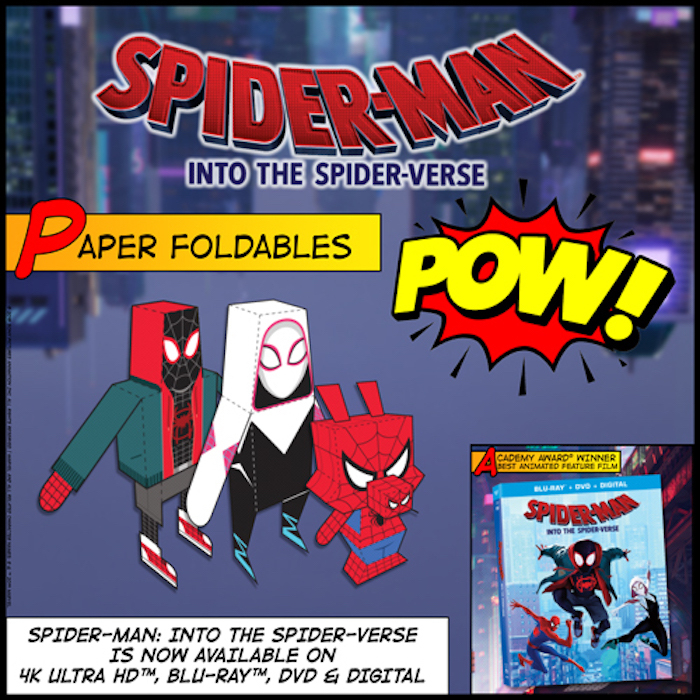 Making something with your own hands, like these paper foldables from the movie, will bring more focus, calm and celebration of your favorite Marvel characters. Crafting love is one of the ways to manifest peace and self-expression while enjoying our favorite past time like crafting. 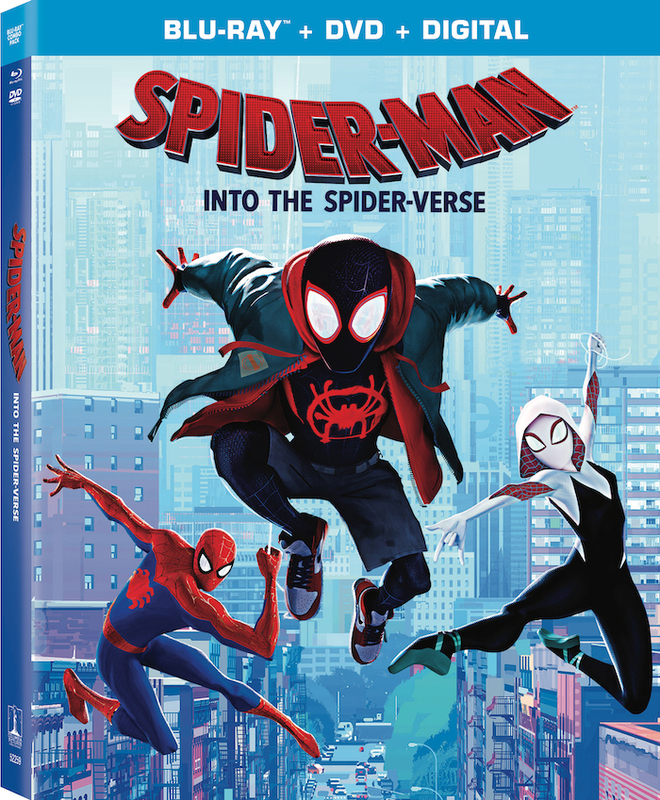 You can own your own Spider-Man: Into the Spider-Verse Blu-ray Combo pack DVD. Make your family movie nights more complete when you own your own copy and can watch it on any media of your choice. 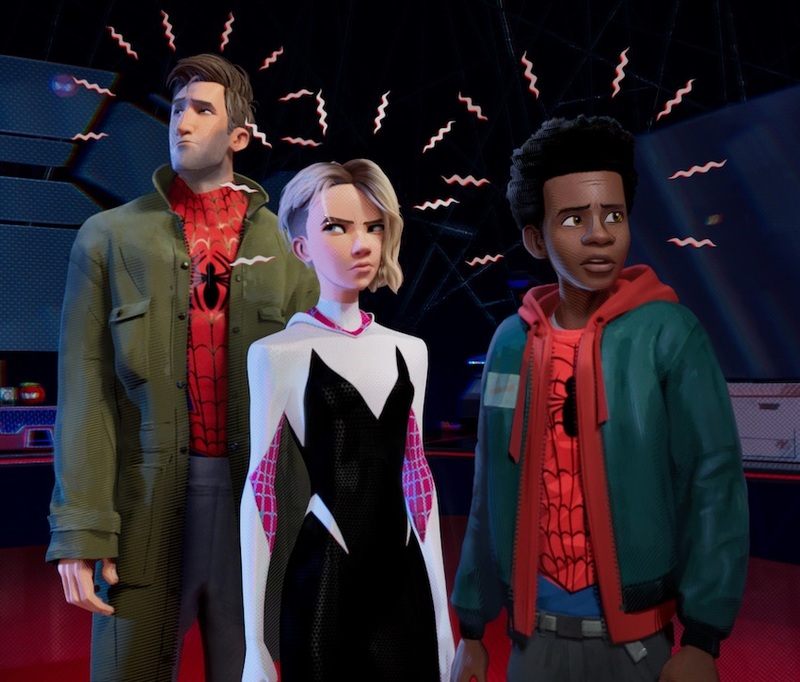 SPIDER-MAN: INTO THE SPIDER-VERSE is directed by Bob Persichetti (The Little Prince), Peter Ramsey (Rise of the Guardians) and Rodney Rothman (22 Jump Street), and screenplay by Phil Lord and Rodney Rothman from a story by Lord. The film is produced by Avi Arad, Amy Pascal, Phil Lord, Christopher Miller, and Christina Steinberg. The executive producers are the late Stan Lee, Brian Michael Bendis, and Will Allegra. 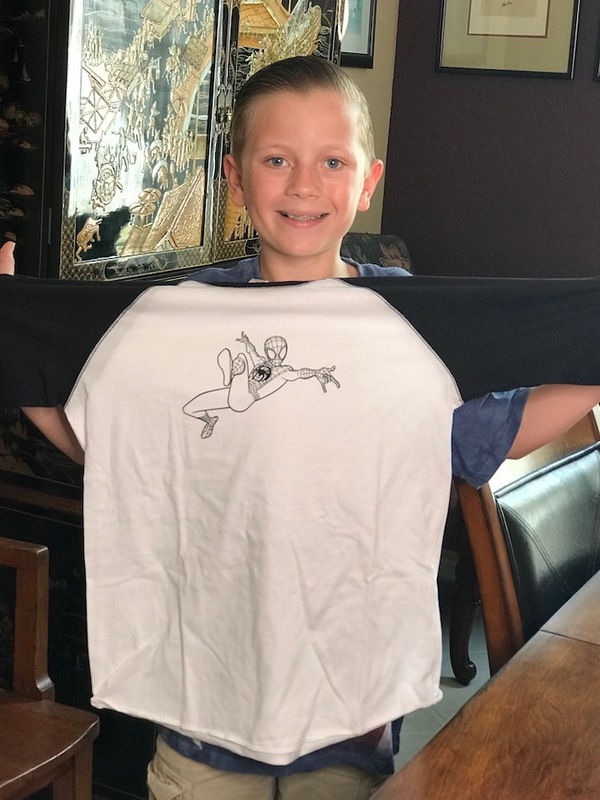 Marvel has sent us some amazing tools to work with on coloring Tshirts with a Spider-Man image. My kids did their color options using Fabric Fine Line Markers. Blind-pack figurines are some of my favorites! It is the anticipation of the unknown that drives us crazy to rip off the top of the pack and discover a Marvel collectible. We got Myles Morales. 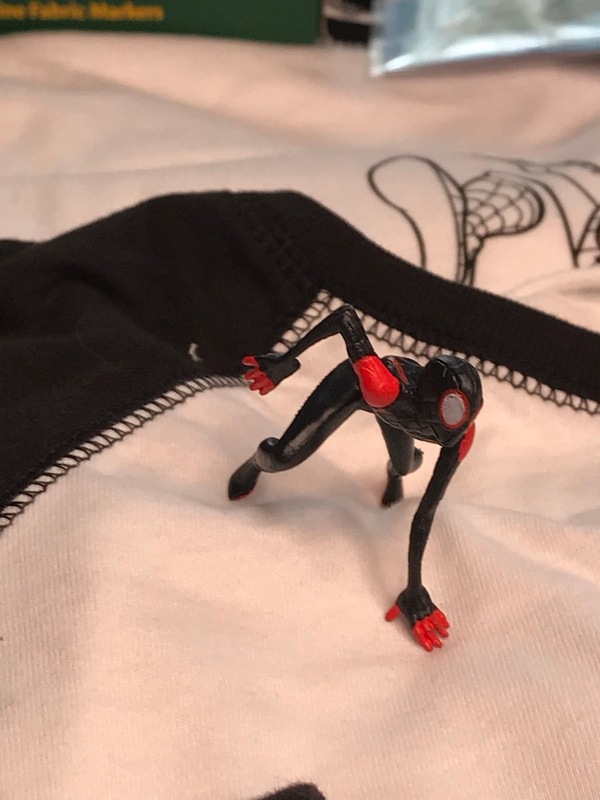 It would be so great to get a Gwen Stacy figurine, one of Spiderman Noir, and of course of Spider-Ham! 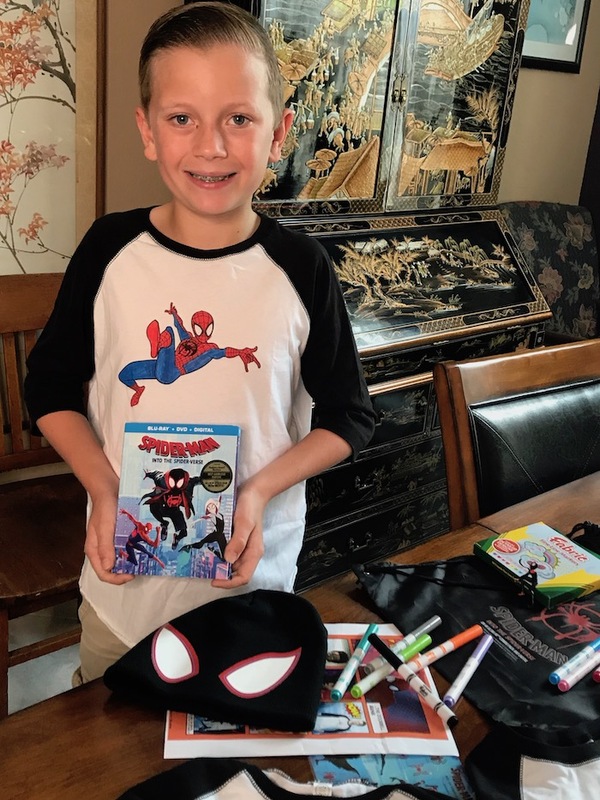 SPIDER-MAN: INTO THE SPIDER-VERSE is filled with engaging bonus materials that are fun for the whole family and give fans even more of the unique comic book style action that they loved in theaters with over 90 minutes of bonus content. In his very own original short, Spider-Ham: Caught In a Ham, fan favorite Spider-Ham defeats his greatest foe, delivers sidesplitting puns, and get sucked into another dimension! It actually can get weirder! Don’t miss the thrilling Alternate Universe Mode where fans can view the film in an entirely new way to discover alternate scenes, plotlines, characters, and more with the filmmakers as their guide.